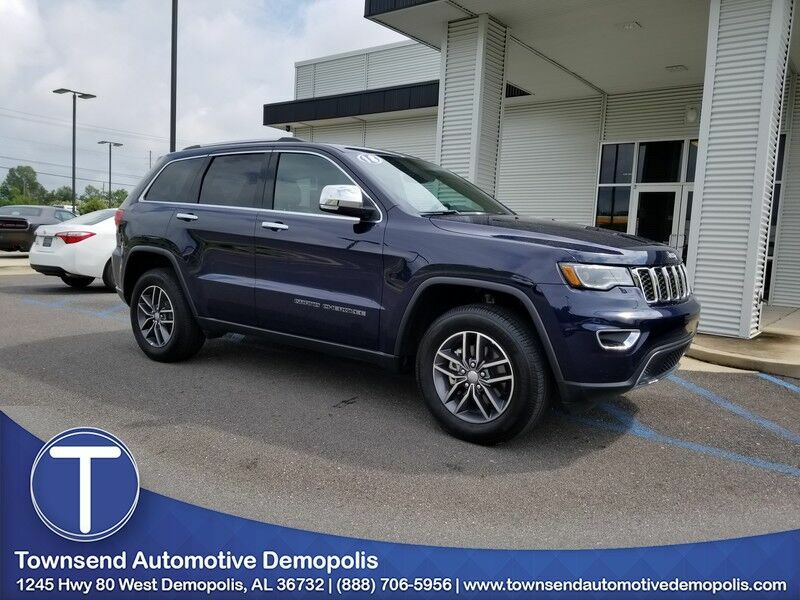 Contact Townsend Automotive Demopolis today for more information on this 2018 Jeep Grand Cherokee Limited! CARFAX BuyBack Guarantee is reassurance that any major issues with this vehicle will show on CARFAX report. This well-maintained Jeep Grand Cherokee Limited comes complete with a CARFAX one-owner history report. The Jeep Grand Cherokee Limited offers a fair amount of utility thanks to its advanced features and unique styling. Today's luxury vehicle is not just about opulence. It's about a perfect balance of performance, comfort, and attention to detail. This 2018 Jeep Grand Cherokee is the perfect example of the modern luxury. Do you encounter heavy snow, rain or mud when driving? No problem. With this vehicle, you've got the power of 4WD to help you overcome the toughest terrain. Added comfort with contemporary style is the leather interior to heighten the quality and craftsmanship for the Jeep Grand Cherokee Get a complete and detailed history at no charge on this wonderfully maintained pre-owned vehicle. Get more for your money with this well-appointed vehicle, including a factory warranty. Treat yourself to an enjoyable driving experience in this well- optioned Jeep Grand Cherokee Limited. Equipped with the latest in driver comforts, this Jeep is the benchmark of modern automotive engineering. Enjoy the drive without worrying about directions thanks to the built-in navigation system.